Hearing aids are vital for many older and middle-aged adults, but have traditionally been formidably expensive, sufficiently so to be a complete barrier or major disincentive to purchase for many who could use them. And prices of these microelectronic marvels have not in general been coming down over the past two decades, unlike computers or technology gadgets in general. 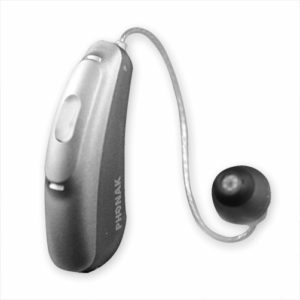 But now Costco appears to breaking the price barriers to top-quality hearing aids. A family member of mine has needed hearing aids for about 15 years. When she started buying them the cost was a roughly $6,000 per pair. At a replacement purchase of Oticon brand aids 5 years ago, the price was still a bit over $6,000. And when she shopped two months ago with an audiologist, the premium Phonak hearing aids were again quoted at $6,200 for the pair. While one can argue that this is relatively less than a decade and a half ago because of inflation, that is not a satisfying answer. Laser printers were once $3,000 and now are $250. Consequently, we explored reviews and costs of hearing aids online. Consumers Reports indicated that Costco had become a major provider of hearing aids and had the highest satisfaction score from customers. And the brands that had best user feedback where Phonak, Widex, Oticon and Resound. The feature sets of the brands may be different. For example, Phonak appears to be most experienced in programming for adapting to different sound conditions automatically, while Resound enables easy streaming to an iPhone and individual adjustments on an iPhone app. So we went to Costco a month ago for a second opinion, if you will. They carry Oticon and Resound brands, among others, in all the various styles (behind the ear, in the ear, etc.). While the Costco model numbers are disguised to make it difficult to be sure which generally available model they correspond to, by reviewing features and from information from the audiologist at Costco, it appears that each of the Costco model is essentially the same as a top model from each of those manufacturers. The difference might be a single missing feature (e.g., reverberation suppression in a gymnasium) of minor importance, or the feature set of last year’s top model. What was different was the price. When I saw that any of their hearing aids were $2,500, I thought that was for one ear. No, it is for both. $2,500 for a pair of the Phonak or Resound or another brand. There is also a less expensive private labeled brand with fewer features. Moreover, the devices are warranted for 3 years for malfunction or breakage, and a lost or destroyed earpiece will be replaced for free (once per ear) in that same 3-year period. All follow-up service is included. I have many patients who have been reluctant to get hearing aids when they need them, and then appalled at the prices, using the oppressive cost to further delay buying them. Unfortunately, the hearing aid market appears to be another example of an insulated and highly price-protected medical device niche, but here it is almost always the consumer who pays the full boat and not your insurer, and the consumer has no real ability to force a meaningful discount. Costco certainly offers a refreshing opportunity. $2,500 v. $6,000 for comparable if not necessarily identical high-quality hearing aids is a compelling reason to me to look at their offerings and compare to more traditional channels. I bought a pair of Phonaks for $5,000+ at Dr.Vernick’s office about 5 years ago. When after a couple of years I lost one, it would have been replaced for $300, but wouldn’t have worked together with the remaining original one. I went to Costco & got a pair, supposedly Phonaks, for $2,600. They don’t have the same features as the original — supposedly adjust automatically to different sound conditions, but I can’t perceive it. They are fairly satisfactory, tho.